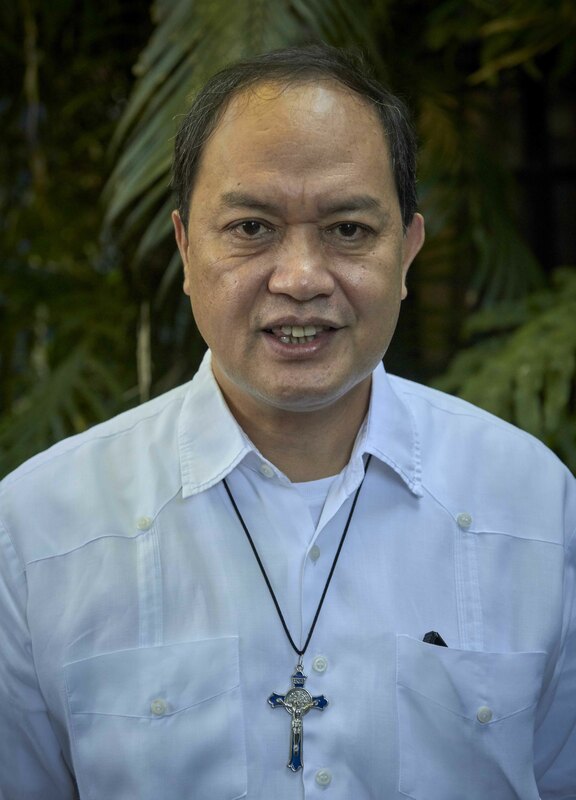 (Crux) – After defending his mother from an attack by President Rodrigo Duterte, a bishop in the Philippines had his Facebook profile temporarily suspended. Bishop Pablo Virgilio David of Kalookan has been a long-time critic of the president’s brutal campaign against the drug trade, which human rights groups say has led to thousands of extra-judicial killings. Duterte has often singled out the bishop for criticism, even threatening him with decapitation last November, and insinuating he was a drug user that stole from the collection plate. Bishop David later confirmed he had received anonymous death threats after the president’s remarks. On April 2, the president called Bishop David a “son of a whore” – a common epitaph from Duterte, which he has also used in the past to describe Pope Francis and Barack Obama. The next day, Bishop David posted a tribute to his mother Bienvenida Siongco David, who died in 2000, on his personal Facebook profile. “She is the woman the President of our country called a whore in his speech yesterday. He called me a son of a whore for allegedly attacking him from the Church pulpit – which I have never ever done. The pulpit is never for that purpose. Unless, of course, he thinks that calling for an end to violence and extrajudicial killing in my diocese is tantamount to attacking him,” the bishop wrote. Bishop David spoke of his mother’s fortitude during the Japanese occupation of World War II, her support for her husband’s career in government service, and her efforts to take care of her 13 children after she was widowed at the age of 58. “She succeeded in raising one sociologist, one architect/urban planner, two lawyers, one civil engineer, one real estate broker, one banker, one medical technologist, one critical care nurse, one bishop, one nutritionist, one dentist, and one economist. Her efforts did not end up in vain; not a single one of her children became a liability to the country,” the bishop continued. “Our family does not expect anyone in government to give her a recognition for her immense contribution in nation-building. But we do not expect anyone either, to insult her memory and call her a whore. SHE DOES NOT DESERVE IT,” he wrote. On April 4, Facebook blocked his account, accusing him of “phishing” – meaning to try and access a person’s private data through fraudulent means. “I was blocked. I got some advice on how to revive it,” Bishop David told CBCPNews, the official news service of the bishops’ conference. Facebook has many automated anti-phishing systems, and accounts can be temporarily blocked for a variety of reasons, including if a large number of people report a user for the practice. This can make a person’s profile vulnerable to a coordinated campaign of false reports of phishing activity. The bishop’s profile on the social network was restored later that day.